I have never understood people that order fruit for dessert. I like fruit well enough, but if the options are chocolate cake or mixed berries, you know that I will always pick the cake. I don’t even like when a restaurant tries to put fruit on my chocolate cake. The berry garnish will sit there untouched and please put the coulis back in the kitchen. Leave my chocolate alone thankyouverymuch. I tell you this about myself because if you served me this dessert and I had never tasted it before, I would be incredibly disappointed. It is like when I watch Barefoot Contessa (I love me some Ina, but sometimes I question her judgment) and Ina serves dried fruit for dessert. If I were a dinner guest, I would leave sad and disillusioned. I know that she can whip up a mean Beatty’s Chocolate Cake or a Coconut concoction. Dried fruit is not dessert. Dried fruit is punishment if you ask me. It is like I was a badly behaved dinner guest. She even says that people are not going to remember what you serve for dinner, but they will always remember dessert. 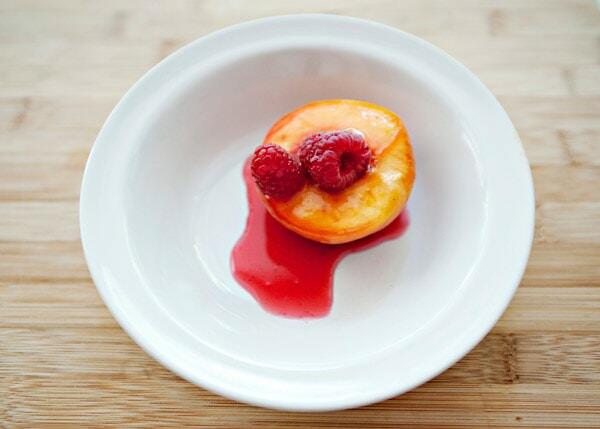 I say this because this Poached Peaches with Raspberries changed my opinion on two things. Fruit desserts and peaches. I thought that I did not like the peach. I have a thing about texture and peaches can fall into that mushy fruit category. Maybe I got lucky when I made this and had perfect peaches. Not mushy at all, not even when poached. I have fallen in love with this peach dessert. It falls into some of my favorite dessert categories. Easy to make? Yes. Make ahead? Yes. A little bit different? Yes. Ding, ding, ding! We have a winner. I found this recipe in Martha Stewart Living and ripped out the page (it is the issue with the mini pies on the cover) because the picture of the peaches was so gorgeous. The entire peach article is gorgeous. I want to live at that peach growers house, it is that beautiful. What I failed to rip out was the recipe. Oops. The other day, I was walking through Safeway (buying replacement ingredients because I burnt a cheesecake badly that I was supposed to take to a party. Uh-oh.) and saw the MSL and grabbed it to see what was in the poached peaches. Why I did not buy the magazine again I do not know. I figured that if I had the title of the recipe that I could find it online. No go. I did write down the ingredients while standing in the magazine aisle of Safeway while people were walking past me thinking that I was a crazy woman. I found the most gorgeous peaches and made this and will never snub my nose at a peach again. The poaching liquid is so divine that I need to make something else out of it. Maybe pour it over seltzer water and some more wine? Do not mind if I do. 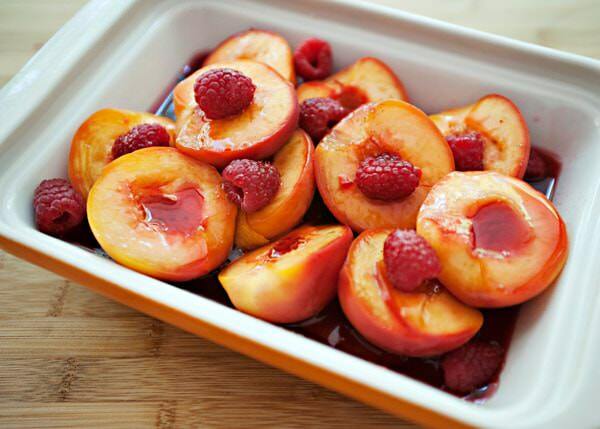 Put all of the ingredients except the peaches and raspberries into a large pot. Halve the peaches and remove the pit. Add the peaches and bring the pot to a boil. 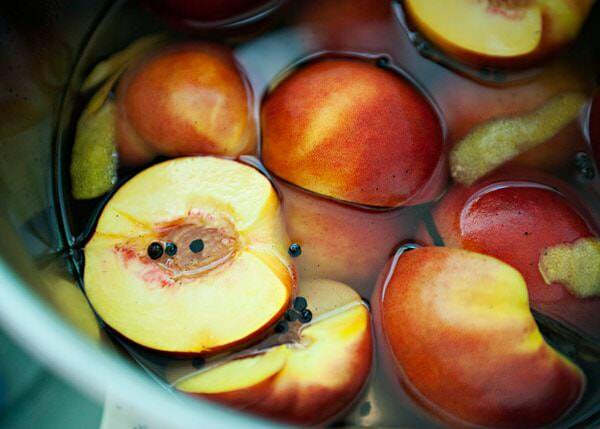 Take the peaches out of the cooking liquid. 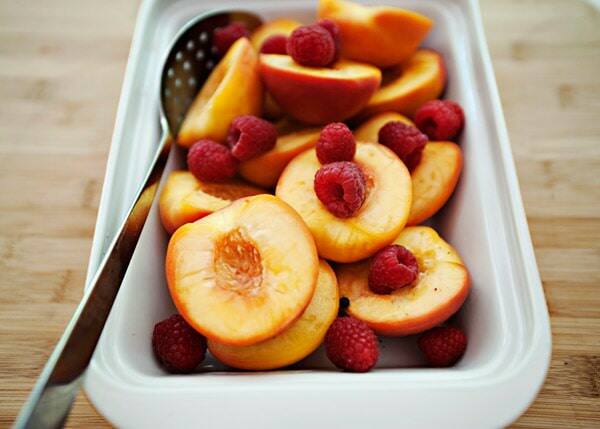 Add half of the raspberries to the cooked peaches. 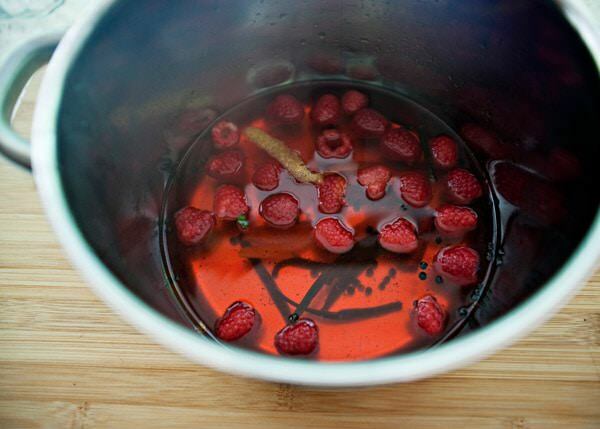 Add the remaining raspberries to the pot and bring it back to a boil. 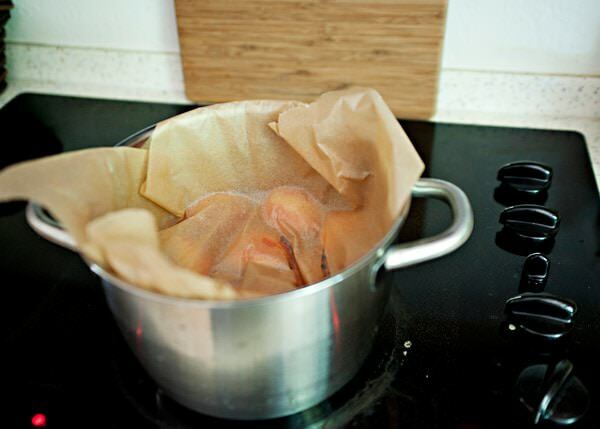 Reduce the cooking liquid to about half. 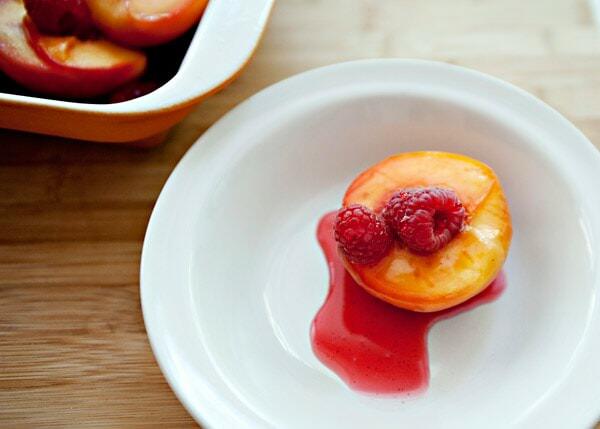 Pour the glorious poaching liquid over the peaches and raspberries. These are perfect just like this. But they would be pretty tasty in your morning cereal, oatmeal or on top of a waffle or pancake. Vanilla ice cream? Yes please. Sliced on top of a piece of pound cake or angel food cake? If you must. Or with a dollop of whipped cream on the side. If I were a peach this is how I would want to go. Bree, those look beautiful and delish! 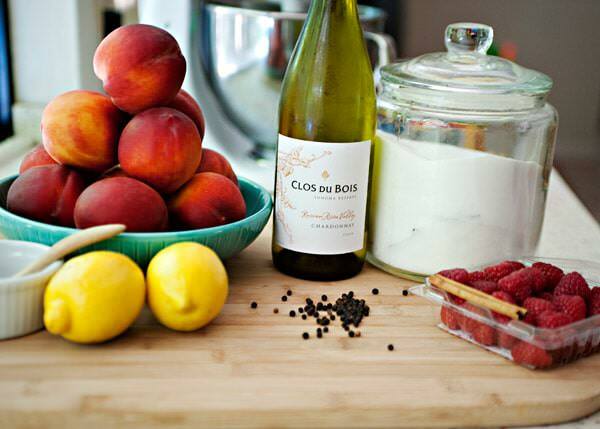 I need to get some peaches and raspberries and make this soon. I am so glad you have made friends with the peach! me too. We could be very good friends from here on out. 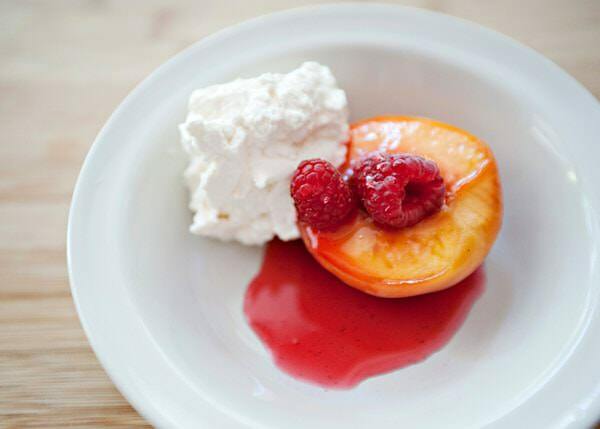 Bree…you make everything look yummy and easy…i do not like the peach as it is the PIT that stops me cold..like the cherry, i dislike pitting fruit…BUT…looks so good and as soon as it cools down here on the East, going to give this a whirl! I have heard that it is one hit summer in NJ. I bought a cherry pitter and now I no longer hate pitting cherries or olives. You should try one. Love the honesty about desserts. I too don’t do fruit desserts, I have a rule — fruit can go with vanilla, but not with chocolate, it’ll just ruin it. This however, does look amazing! that is a very good rule to live by. This sounds absolutely wonderful, and the photos are SO very beautiful. You are one talented person! I love visiting your site; clean, beautifully simple layout and design, delicious recipes. I don’t know why more people aren’t leaving comments! 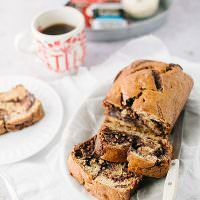 Bree, this recipe is absolutely wonderful! I’m going out of town, so I thought I would just poach all the fruit I had left. I used white flesh peaches, blackberries, and pears, and it was divine! After topping them with Greek yogurt, I was almost ready to swear off chocolate desserts. Almost. Thanks for a lovely recipe! I am so glad that you liked it. I love this recipe and can think of a million ways to use it. 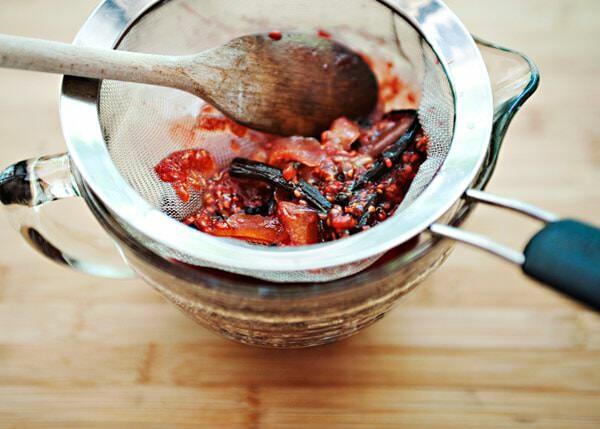 I love the mixture of fruit that you used. Sounds delicious. Beautiful photography (and beautiful peaches!). Thank you… Would you please share details about the pot that you used for the poaching, including brand? Sure thing. It is a cheap stock pot from Ikea. https://www.ikea.com/us/en/catalog/products/00101160 I actually really love this pot. It is the perfect size. Bree..i also commented on your FB page…i made these last night and although they were not half as beautiful as yours…this was utterly delicious…and the poaching liquid perfumed my kitchen so, that my son, who was eating a sub from Primo’s(AC area), said, “how do you expect me to eat this sub with that aroma filling my nose!!? ?” well, i edited a bit, but you get the gist! I put the peaches, etc..on vanilla ice cream and it was delicious! thank you for a summertime treat..i will make this again, if only for that nectar! Thanks Mimi! I loved this recipe. The poaching liquid is so good and it really changed my mind about the peach. Just made a poached pear dessert last night and although good – I am not crazy about the texture of pears. 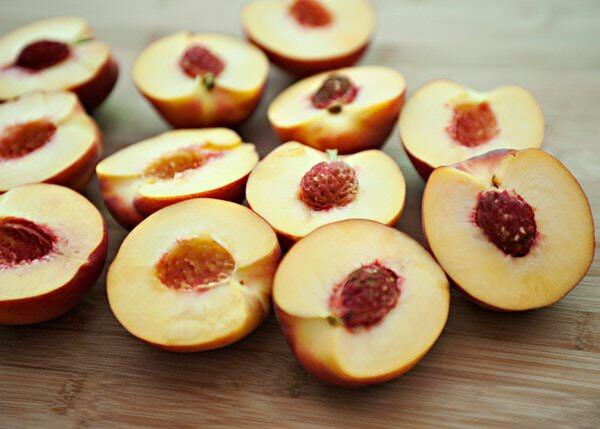 Thought I’d see what I could find on poached peaches since I love these and they are in season; found yours and am so excited to try it this week. Great story, great description – can’t wait to make it. I hope that you like them. Tell me how it goes for you. Just made it last night and it was delish! Also made the tomato blue cheese salad – see comments there. Isn’t it delish? I love this recipe. I just found what i’m going to bring to a picnic in a couple weeks. This looks amazing. 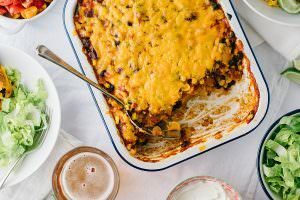 I can’t wait to try this recipe and every other one on your site! 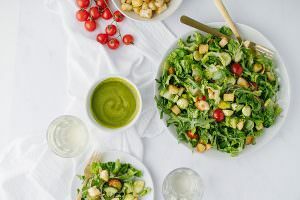 I love this recipe, it is so pretty not to mention delicious. Hello Bree, thanks for the recipe! I just made this today and it was delicious! My peaches were a little too soft for my liking, but that just means I’ll have to watch them more carefully. Peach heaven, nonetheless. Do you eat them warm or chilled? Both. I sort of like them warm because they melt the ice cream a little bit. 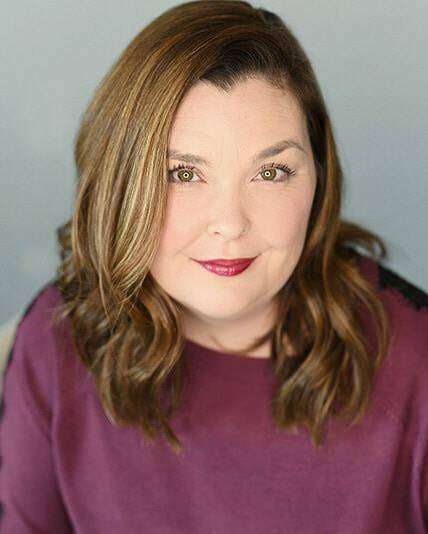 Just learning to cook and entertain and am happy to have found your website! Everything looks delicious and beautiful. 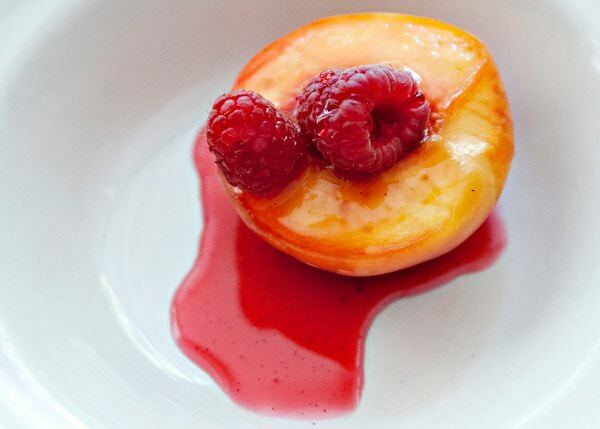 I want to make your poached peaches with raspberies ahead of time for a dinner party this weekend….what’s the best way to warm it up before serving dessert? 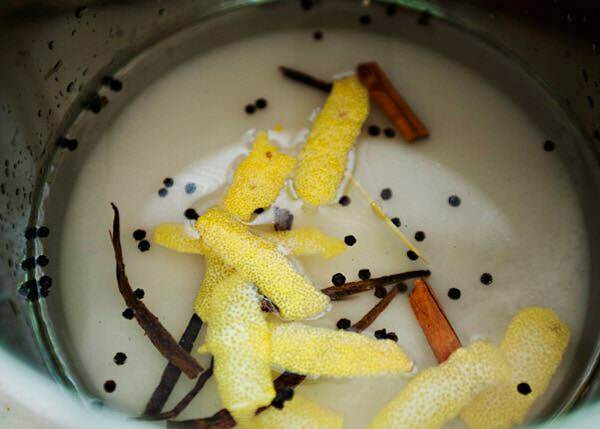 You can save the poaching liquid and re-simmer them. Welcome! 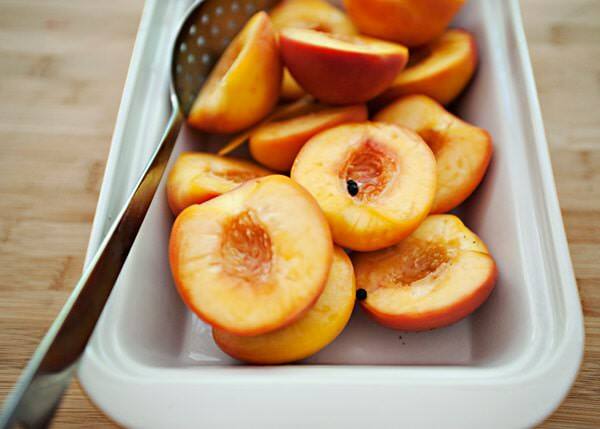 Hope that you love these peaches. i used this for my catering exam in school. amazing method. Your recipe is beyond delicious! Everything works together so well. I thought I had made enough for several servings. Nope, my friends polished off the lot! I made peaches with mixed berries (blueberries, raspberries & blackberries) – and the resulting syrup added to vodka and/or soda water was divine! I am so glad! Isn’t this recipe beautiful too? And I love that you used the leftover syrup for a cocktail! My kind of girl!